With flavors like Cherry Cashew and Lemongrass Curry Peanut Butter, Fog City Sundries combines fresh ingredients with experimental cooking. 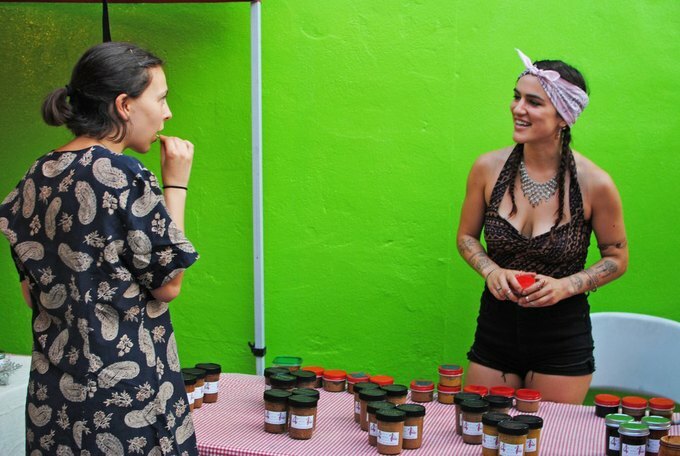 On Saturdays at the Bushwick Farmers Market, you will find Ava Zarich surrounded by her homemade nut butters and honeys, complete with a friendly face and eagerness that speaks of her passion for experimental cooking. 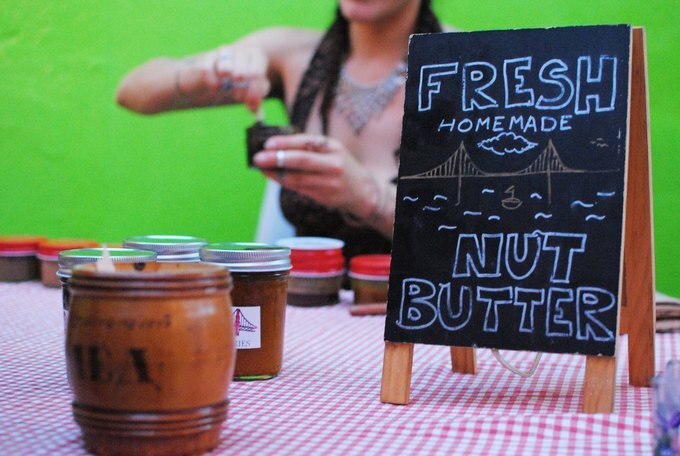 Named after her hometown of San Francisco, Fog City Sundries was founded in 2014 when Zarich began selling her $10 nut butters at the Bushwick Farmers Market. 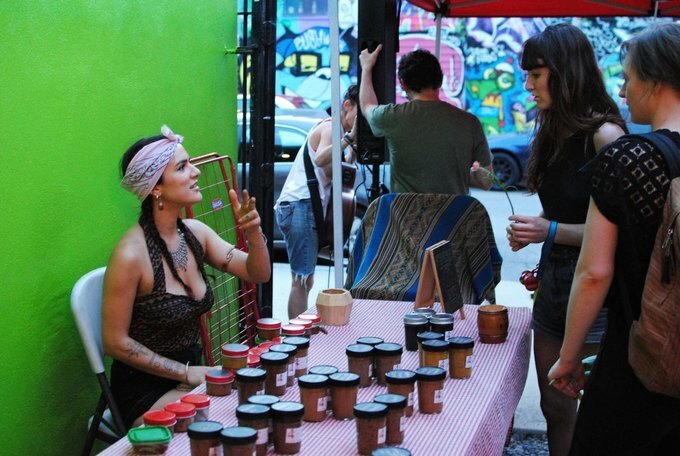 Three year later, and her love and knowledge for creating a quality Bushwick-based product are noted on every hand-written jar, every free sample and each customer interaction. “They’re shelf-stable, they’re fun to try and there’s a market for them,” Zarich tells Bushwick Daily. Made in small batches out of her registered kitchen, Zarich has been a member of the Bushwick Co-Op for years and ensures that her ingredients are locally produced, mostly organic and non-GMO. Bushwick Daily tried (quite a few) samples from Zarich at the Friday night Bushwick Farmers Market on Troutman Street and let us tell you these nut butters are not only delicious, but with flavors like Cherry Cashew and Lemongrass Curry Peanut Butter, are culinary combinations you truly cannot find anywhere else. “Cherry Cashew, Spiced Maple Almond and Creamy Hazelnut Macadamia tend to be my best sellers — it varies by week though,” Zarich says. 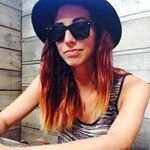 Her personal favorite is Kitchen Sink because it “goes good on everything. It's a hearty spread of almonds, walnuts, hazelnuts, pecans, sunflower seeds, honey, flax seeds and chia seeds. In addition to nut butters, Zarich sells her own infused honey, created with a base of Goldenrod Varietal by Tremblay Apiaries — a New York state, family-owned honey farm (sold at the Union Square Green Market!). Her most popular is Elixir Honey, a blend of turmeric, cayenne, bee pollen and various extracts (vanilla, reishi, schisandra, chaga, maitake, cordyceps and lion's mane). “It started out as medicinal, but people love the flavor,” Zarich says. Zarich started her culinary journey a few years ago, when she began experiencing health issues. Motivated to heal herself holistically, she totally transformed her lifestyle, which included cooking more at home, eating more vegan meals, making her own tea blends and studying holistic nutrition extensively through textbooks and online academic journals. Once Zarich joined the Bushwick Farmers Market, the community-driven work took her nutritional interests to another level and she’s now enrolled at Brooklyn College for Community Health Education. “They all definitely go hand-in-hand — social justice, nutrition and public health,” Zarich explains. “The Bushwick Farmers Market propelled that. It’s been a really great community and I was very, very welcomed into it." 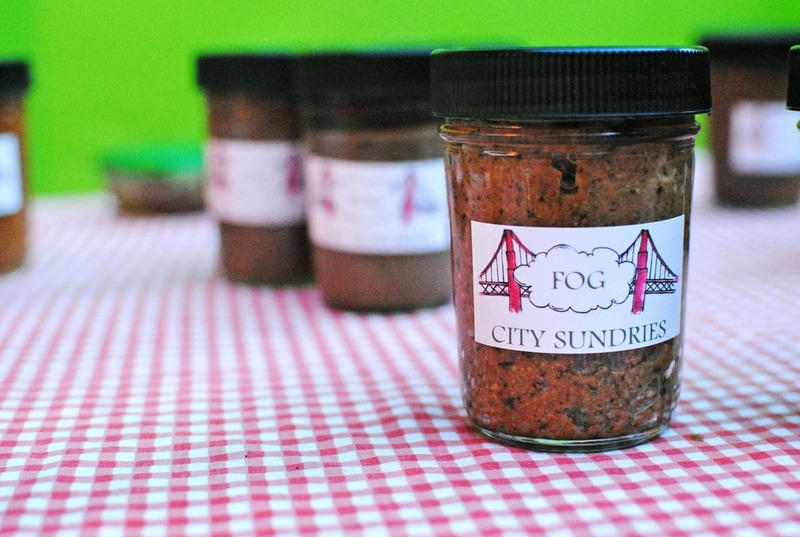 For samples and to purchase, catch Fog City Sundries at the Bushwick Farmers Market on Saturdays (Maria Hernandez Park, 10-4 p.m.)! Additionally, Bushwick pick-ups and US shipping can be arranged through the Fog City Sundries website. Zarich's nut butters and honeys will also be coming soon to select Bushwick stores! To stay up-to-date, follow Fog City Sundries on Facebook and Instagram.